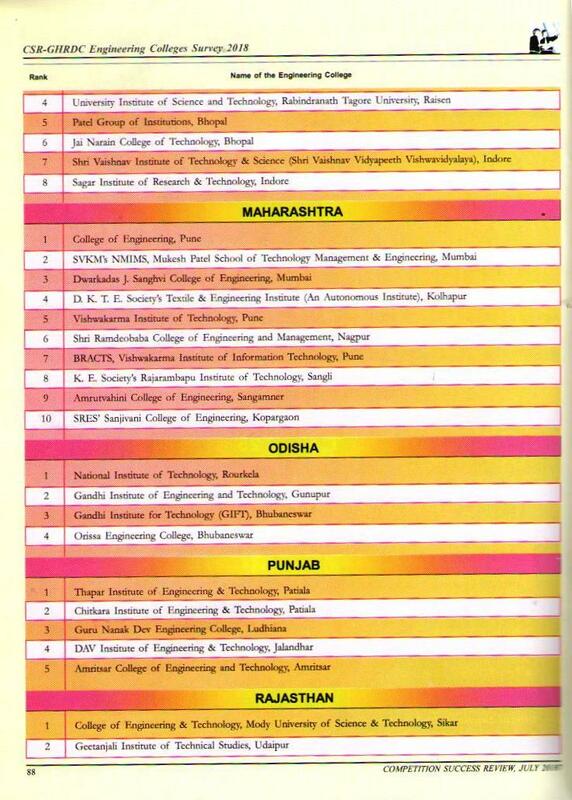 Guru Nanak Dev Engineering College, Ludhiana achieved following positions in ranking survey conducted by different agencies for year 2018 on the basis of various parameters like Infrastructure, Faculty, Research, Admission, Placement etc. 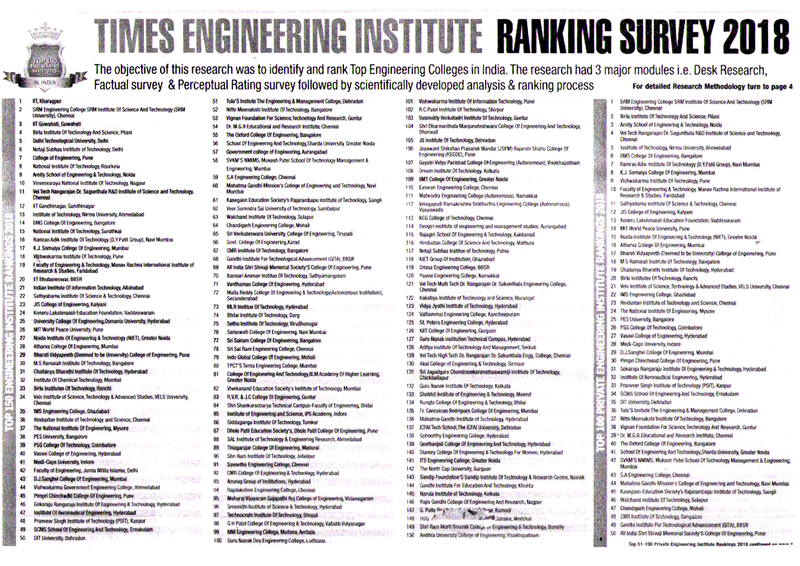 Felicitations to the Members of Management, Trustees, students and staff on attaining GNDEC 100th Poistion in the category of Times Engineering Institute Ranking Survey 2018 & 2nd position in the State of Punjab including IITs, NITs, Universities etc. 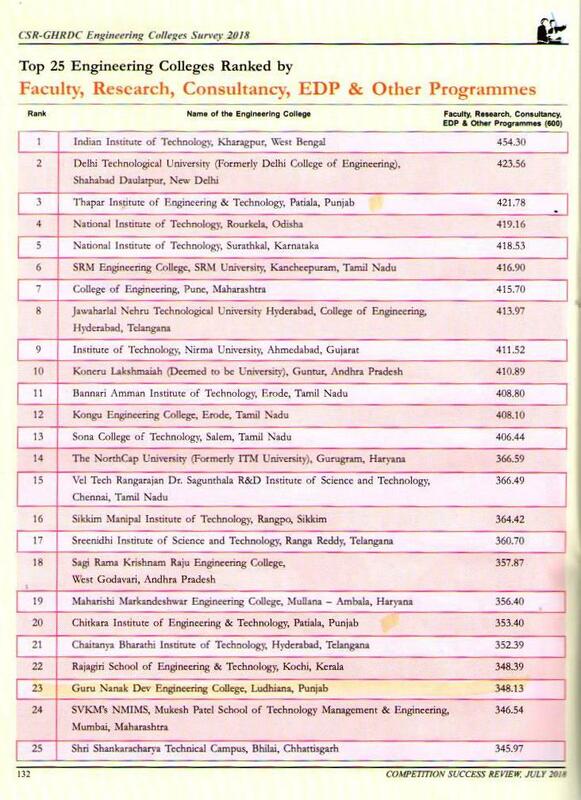 and 24th position in CSE-GHRDC Engineering College Survey-2018. 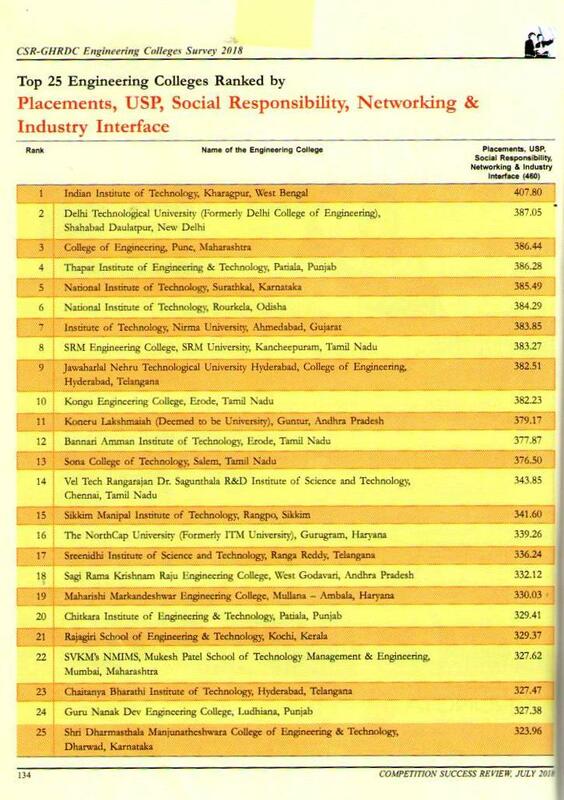 This has become possible due to tireless efforts of Management, Students and staff of the Institution.